1948, watercolor on paper, 18 x 12"
After serving as a Navy fighter pilot in WWII, Raeford Liles returns to Alabama and attends Auburn University, from 1947 through 1949. With a major in Engineering and a minor in Fine Art, Liles studies with noted artists, Basil Cimino (American, 1913–1966) and Maltby Sykes (American, 1911-1992). 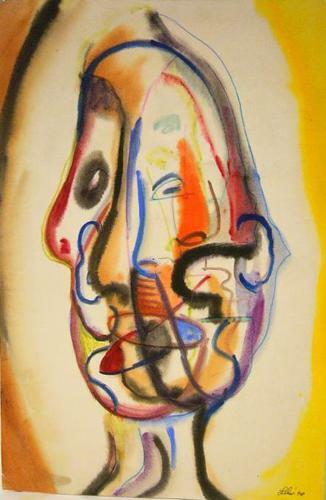 His early portraits and landscapes, influenced by Cubism and modern Expressionism, are lyrical and infused with color.